Frido van Nieuwamerongen, Laurent de Wolf, Ling Wei Lee, Roswitha Abraham, Construction Consultants Network B.V., Aanneming Maatschappij J.P. van Eesteren B.V., Broersma B.V., Ingenieuersbureau Linssen B.V. 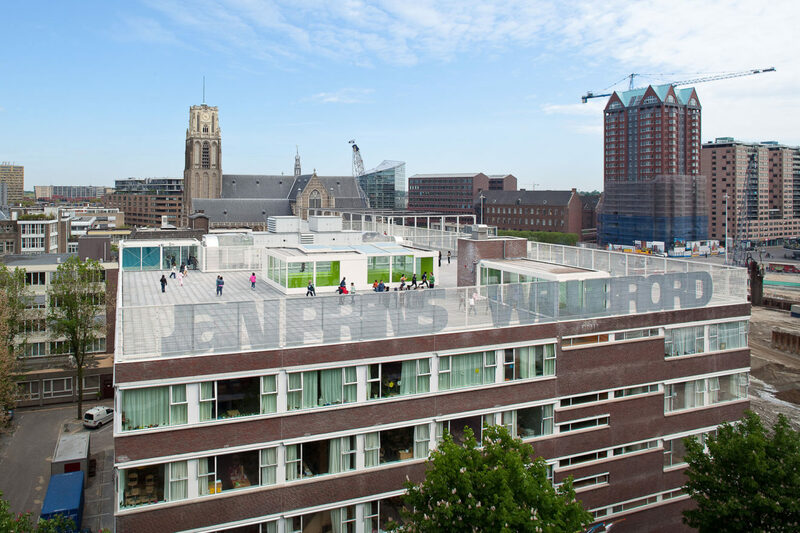 The schoolbuilding next to the Market Hall in Rotterdam was built in the seventies hosting the Social Academy and designed by the Dutch architect Kraaijvanger. 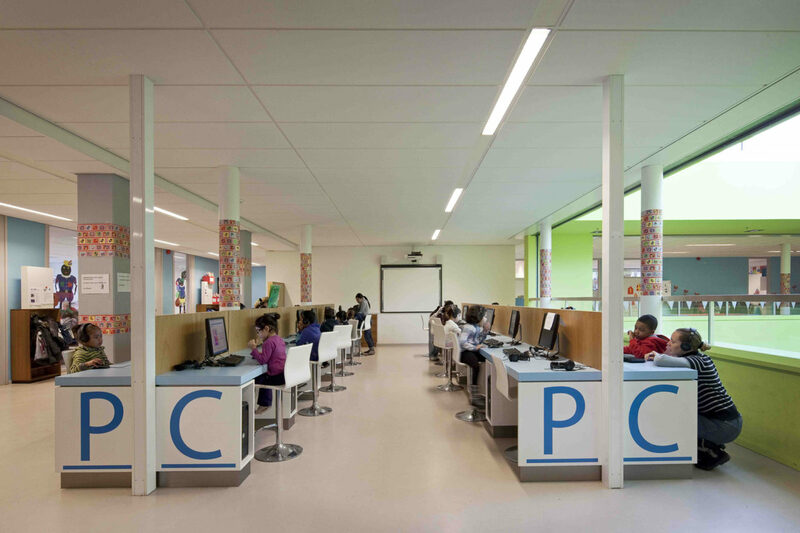 For its contemporary users the building had to be transformed into a Community School hosting two elementary schools, two pre-schools, two sport halls and an after-school care centre. Sufficient outdoor space also had to be created for its different users; a challenging task right in the middle of the city. The original building was constructed around an enclosed outdoor space. 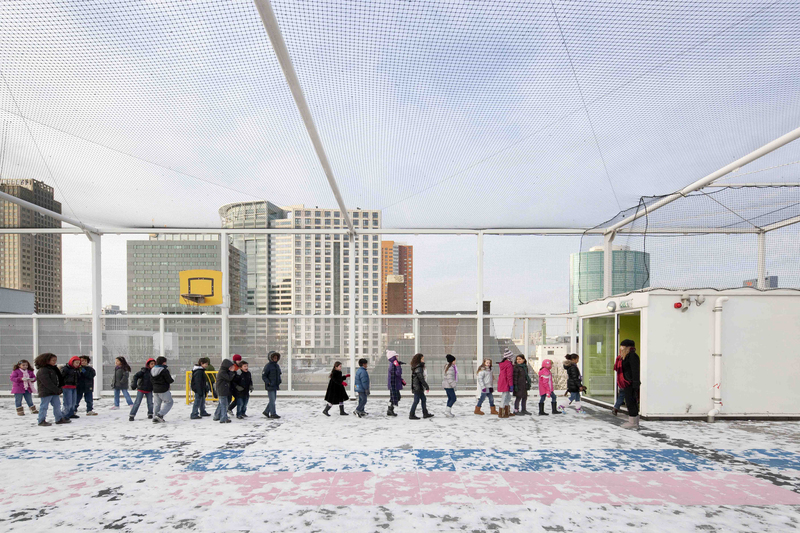 Arconiko has literally pushed a plug-in element into this outside space consisting of extra floor space around an indoor atrium and a large playground on the rooftop. 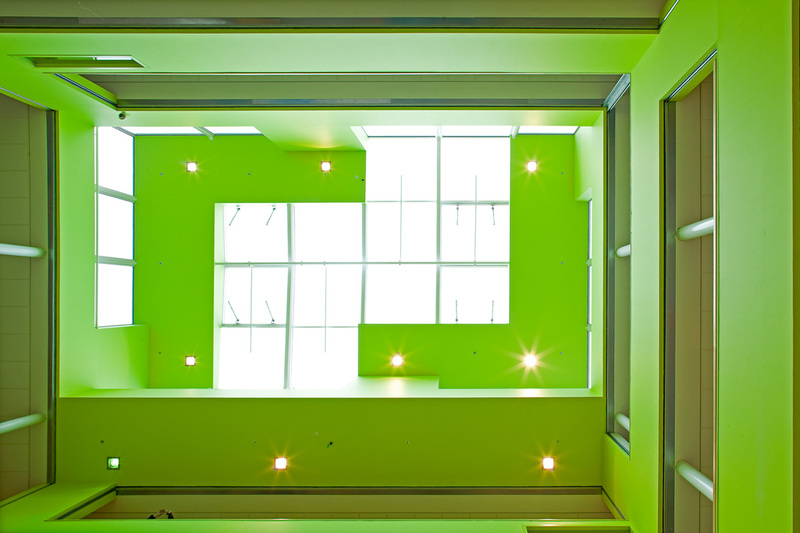 The atrium provides plenty of daylight deep into the school and connects all spaces, providing everyone with different views throughout the school. It also contributes to the feeling of belonging to one family. A large amount of the original building elements have been restored such as the concrete structure, the facades and the windows. The original windows around the former outdoor space have been reused as interior wall divisions. The comfort and convenience of the building improved a great deal. All single glazed windows have been replaced by double glazing and a completely new air treatment system was installed. The air quality meets the latest advisory guidelines for schools. 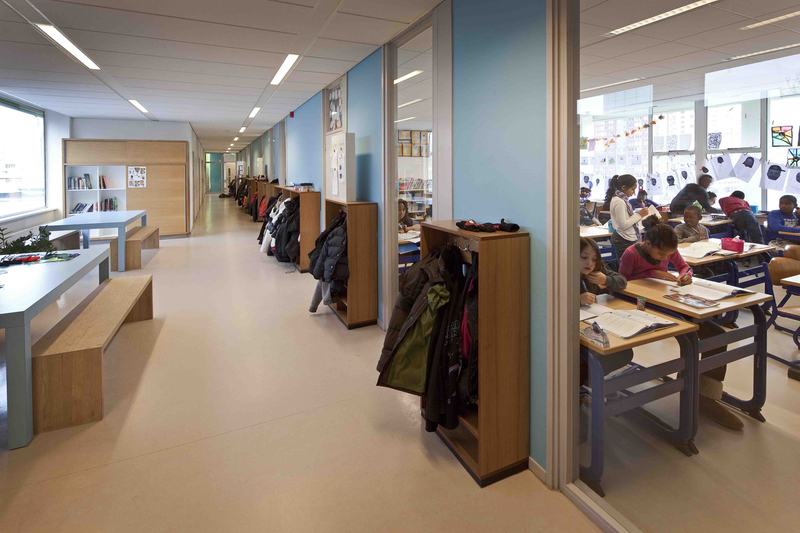 No physical separations were made between the two schools, Jan Prins and Willibrord. They appear to be randomly distributed over the building. 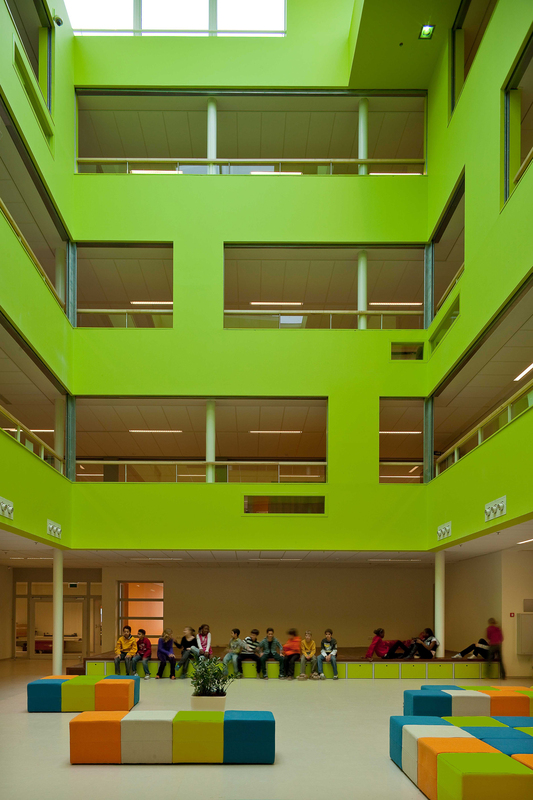 Colours aid for recognition: blue for the Willibrord school, orange for the Jan Prins school and green for the shared spaces. They make the school look bright and fresh. If the arrangement happens to change in the future, repainting some walls takes little effort.